Di-log Solar are pleased to launch the all new SL102 - Digital Irradiance meter with a built in Digital Mulit Meter. The SL102 is a professional Solar Irradiance Meter designed to assist in the installation of Solar panel PV systems. With its Multimeter like design, the SL102 enables you to perform safe and accurate measurements, even when working at heights. 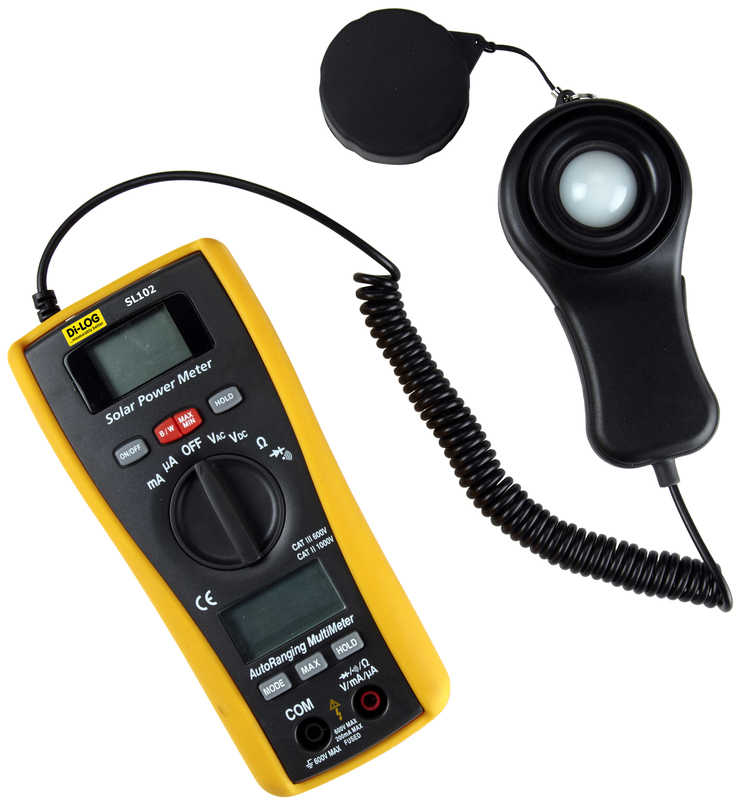 The SL102 also features a dual display which allows you to simultaneously record the Irradiance level and Voltage output with the panel connected in situ by the MC4 lead set provided.